Hi, I’m Matylda and I’m two! I live with Mummy & Daddy and I am very lucky to have three big sisters! When I was born the doctors could see from looking at me that I may have a genetic condition and they would like to do some tests to see what it was. This was an uncertain time for my Mummy and Daddy, I struggled to feed, was losing weight and was admitted to hospital a few times. When I was two months old I needed to have a feeding tube fitted up my nose so I could get all the fluid and nutrients I needed. I vomited often so needed to be kept safe from choking. I had physiotherapy to try and strengthen my muscles as I was quite floppy and struggled to hold my head up. When I was 10 months old I needed another operation to stop my vomiting and to have a permanent feeding tube put in my tummy. Mummy and Daddy spoke to James Hopkins Trust and asked if they would be able to help them so that they could share their time with my sisters and just catch their breath. A nice nurse came and met me and said they would love to have me come and play with them (well of course they would, I’m a lot of fun to spend time with!!) I come to James Hopkins Trust and have so much fun with my friends while I have lots of nursing staff making sure all my nursing needs are taken care of. I have made some lovely friends and look forward to our time together, we do lots of baking, art work and music therapy. The best bit is the sleep overs I have with the other children at the Trust, where we get to share a bedroom, have Jacuzzi baths and have THE BEST time ever! At the age of three my seemingly healthy daughter Jasmin had some tests done as we thought she may be hearing impaired or slightly delayed in her learning. Nothing that couldn’t be fixed with love and time we thought, but how wrong we were. The results were life changing for my husband and I, but life limiting for Jasmin. A rare genetic degenerative disease was diagnosed called Sanfilippo. 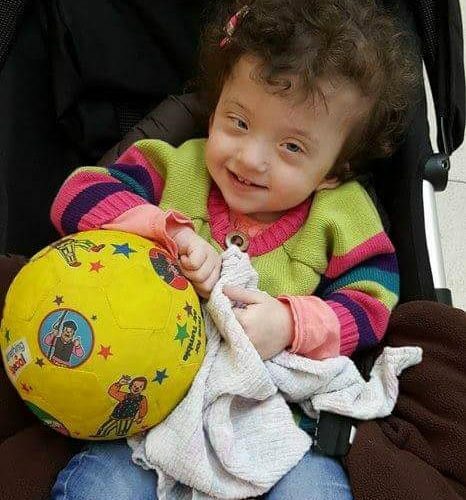 Our lively, vocal little girl was going to lose her ability to walk, talk, eat orally – she would develop epilepsy, suffer pneumonias, dystonia and a host of other vile things. We were told Jazzy would not live into her teenage years. I simply cannot describe how devastated, shocked and distraught we were. To add insult to injury 6 days later Jazzy had her first seizure activity. Our doorstep was littered with letters with NHS postmarks from an array of services that we hadn’t got a clue what they did. This was the start of learning complex care routines to keep Jasmin safe and at home with us – it was exhausting, relentless and frightening but also a true labour of love for our beautiful daughter. We were referred to the James Hopkins Trust and were matched with a wonderful nurse Linda who came to be our saviour. Linda educated herself on Jazzy’s rare condition and educated us in what this all meant. Linda helped us make sense of all the medical jargon. When Linda with us one evening a week – we would catch up on a few hours’ sleep as a major issue with children with Sanfilippo is that they simply do not sleep. I would take Jazzy to Kites corner for her to enjoy the wonderful facilities there, the sensory garden, soft play room, sensory room. It was great for me to meet other parents. Parents are mostly self-taught and being able to share information and my fears was priceless. 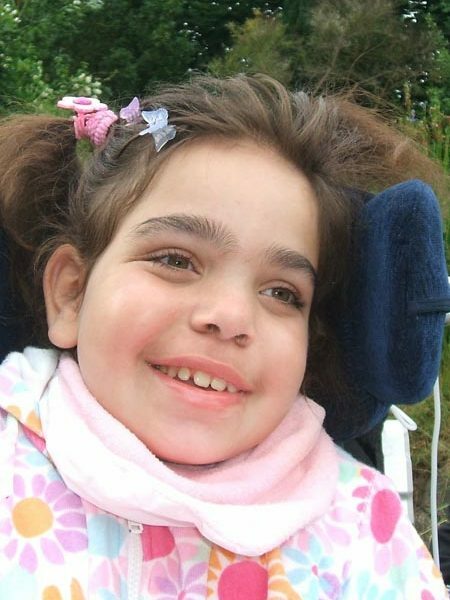 Over the next 9 years Jasmin deteriorated as predicted with the Sanfilippo disease. Her epilepsy only got bigger and more frequent, at 6 she lost all of the small amount of vocabulary that she had, at 7 she spent two weeks on life support in ICU in Birmingham due to pneumonia – when she came home she was so weak she was unable to eat or walk so came home with a wheelchair and feeding tube in her tummy, she also required oxygen to help her breathe – there were so many practical and emotional changes to come to terms with. Despite our fear and sadness about the future, James Hopkins Trust were still there supporting us practically and emotionally, helping us to enjoy precious moments with Jasmin and make a life time of memories. On 1st March 2011 Linda spent precious time with us just hours before Jasmin took her last breath in our arms. James Hopkins trust has been with me through every step of our journey with our darling daughter. They have helped me live rather than exist thanks to the treasure trove of memories created during the time they supported us as a family. 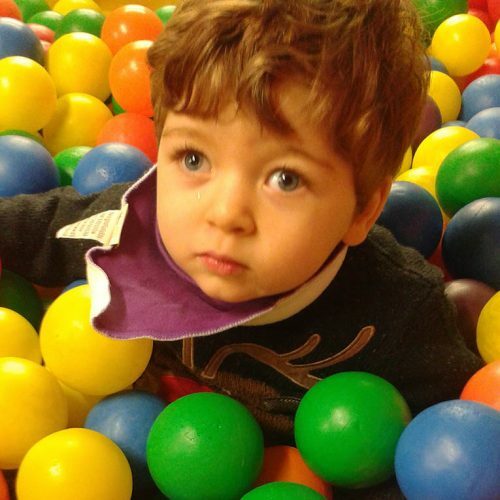 Hi Everyone – I’m Malachi and I’m two years old. When I was born I was a healthy baby boy, and my Mummy, Daddy & big brother Korsten were so all excited to meet me. When I was 6 weeks old I caught a very nasty respiratory virus. I struggled with my breathing and went to hospital, but I became much more poorly and I had to go onto a life support machine to breathe for me. I was in intensive care. I was very unwell. I needed lots of medicine to keep me alive. I started then to have epileptic seizures and needed even more medicine to stop those fits. The tests showed that I had suffered oxygen starvation to my brain from being so unwell. Mummy and Daddy were told I would have different care needs than most babies of my age. My family were very sad and scared, they worried and wondered about what help I will need in the future to keep me well and safe. It was a very lonely time for them all as they came to terms with what had happened, and learnt to look after me with my 24/7 complex medical needs. (it is a good job I am so cute and can wrap them around my finger with my gorgeous smile!). As I can’t move around or hold toys very well I need support in my play. Mummy, Daddy and Korsten do this all brilliantly and I am so lucky to be in their family but I don’t leave much time for sleeping, food shopping or for Korsten to have their attention. Mummy says that James Hopkins Trust came to the rescue by providing me with weekly respite nursing care sessions at their home, Kites Corner. And I have sleepovers there too whilst Mummy & Daddy can catch up on their sleep and spend some time with my big brother. I love it when I come to visit, there are so many amazing toys and other children for me to play with, I have my own bedroom and I get to have really bubbly baths in the Jacuzzi bath. I have a lovely nurse who cuddles me, looks after all my nursing needs and gives me really cool adventures while I am staying with them.